On March 13, 2019, U.S. President Donald Trump announced that the United States would ground all Boeing 737 Max 8 and 9 jets. This was in response to the Lion Air and Ethiopian Air crashes, which happened only five months apart. The U.S. was actually one of the last countries to do so, being behind many of the countries which operated this aircraft. As the fourth week of this worldwide ban approaches, Boeing is under heavy scrutiny to fix the issues that doomed the two flights. On October 29, 2018, Lion Air Flight 610 crashed into the Java Sea, just thirteen minutes after takeoff. An investigation revealed that the newly added feature of Maneuvering Characteristics Augmentation System (MCAS) incorrectly detected a stall, forcing the nose down. The investigation also noted that pilots were not informed of the system in training manuals, which led to their inability of disabling it. On March 10, 2019, Flight ET302 crashed near the town of Bishoftu just six minutes after takeoff, killing all 157 passengers and crew on board. A report showed that the MCAS, which was the system responsible for bringing down Lion Air 610, received faulty Angle-of-Attack (AOA) readings, which is the amount of degrees the aircraft is pitched. The report noted that the left angle of attack sensor reached 74.5 degrees, while the right was only pitched 15.3 degrees. Shortly after takeoff, the autopilot was engaged. This was when the aircraft began to oscillate in pitch. While the autopilot was disengaged, the MCAS was enabled, pushing the nose down. Although no final report has been published yet, the preliminary report, as well as the analysis of the flight data recorder, has presented similarities between both the Ethiopian and Lion Air crashes. Additionally, the report also suggested that the pilots on the Ethiopian Airlines initially followed the procedures published after the anti-stall system malfunctioned. However, the MCAS overrode the pilots’ inputs, despite pulling up with manual control. Dennis Tajer, a 737 pilot and spokesperson for the American Airlines pilots union, reported that “the captain was not able to recover the aircraft with the procedures he was trained on and told by Boeing.” This further suggests that Boeing did not take the necessary precautions to train pilots about switching off this system. An investigation into Boeing showed that the two planes were not equipped with optional safety features that would have helped pilots recognize erroneous readings. While Boeing has worked to make these features mandatory, it still reveals Boeing’s desire to make money. This can be further seen with the decisions made during the production of the MAX line. In 2011, American Airlines announced the placed order for hundreds of Airbus jets. To win American Airlines back, Boeing rushed the production of a competing aircraft from ten years to six. Investigators are now wondering whether or not the rushed production could have led to greater safety risks and underplay the need for pilot training. Engineers describe their work speed being doubled, leading to sloppy designs. Rick Ludtke, an engineer for the Boeing 737 MAX cockpit design, said that “[Boeing] was trying to avoid costs and contain the level of change.” However, in doing so, Boeing compromised safety. Airlines all around the world have taken blows by the groundings, as it has led to cancellations due to limited aircraft. However, many airlines have also doubted the safety of the aircraft, which could have an impact on future orders for the MAX planes. It is still unknown when MAX jets will take to the skies again. In the meantime, Boeing plans to roll out with a software update for the MCAS this month, as well as make an optional cockpit warning indicator standard in all of its MAX jets. 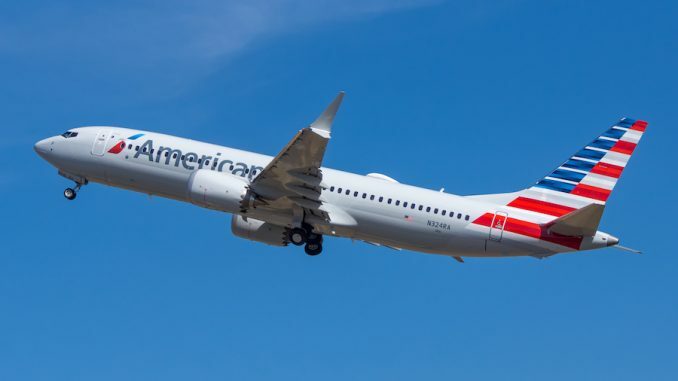 The MCAS system, which was originally implemented as a backup safety feature so Boeing could install larger, more fuel efficient engines on the 737MAX without having to redesign the aircraft, should not have kicked in a second time after the pilot corrected the aircraft’s pitch. The software patch will ensure MACS does not kick in a second time.